The Museum of Contemporary Art North Miami (MOCA) recognizes the need to enrich the cultural life of the community and to nurture a knowledgeable and supportive audience. 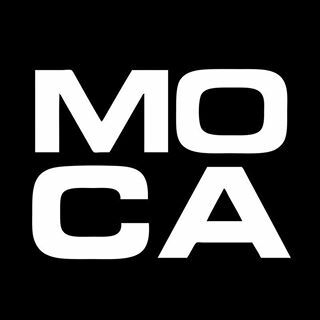 To continue its longtime tradition of high-quality education programs, MOCA has announced three new monthly programs: MOCA miniMAKERS on the first Saturday of every month, Sunday Stories on the first Sunday of every month and MOCA Makers on the third Saturday of every month. MOCA miniMAKERS offers hands-on interactive art classes to children ages 6 through 12 on the first Saturday of every month. Children are invited to tour MOCA exhibitions while learning about the elements of art by painting, drawing, and sculpting inspired by renowned artists. February 2, 2019: Children will create a “Soft Card” inspired by the work of AFRICOBRA artist Jae Jarrell using felt, ribbon and other fabrics. Layer fabrics, stamp letters, and create a unique work filled with love. March 2, 2019: Children will create their own screen-printed tote-bags with inspiration from AFRICOBRA founding member Barbara Jones-Hogu. They may use MOCA’s premade screens or cut out their own shapes to create “masking” images! Limit of 20 participants. Sunday Stories welcomes children ages 1 through 5 to listen to a live reading of a story in MOCA’s gallery surrounded by the museum’s current exhibition that will be followed by a hands-on early childhood art project in the Pavilion Gallery. The program is offered on the first Sunday of every month. Parents and caregivers are encouraged to join the class and participate with the students. 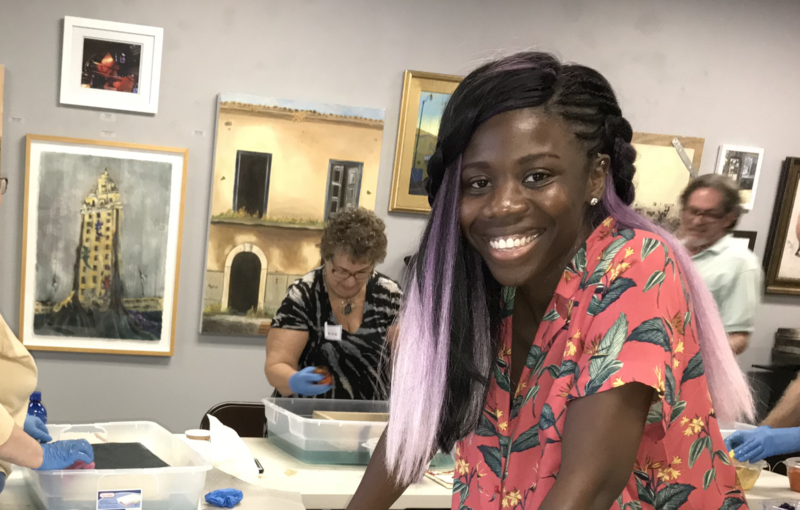 2019 Schedule: January 19, 2019: Collage Creations – Join local working artist, Shawna Moulton, to create paper works inspired by AFRICOBRA. 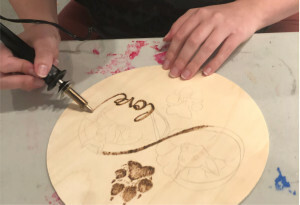 This program aims to bring traditional papermaking and new art techniques to a one class workshop, allowing guests to make and take their own unique creations. Limit of 10 participants. March 16, 2019: Learn easy and inexpensive screen-printing techniques inspired by AFRICOBRA founding member, Barbara Jones-Hogu. All participants will get to take home their own, custom screen and printed tote bag. Limit of 20 participants. The Museum of Contemporary Art North Miami (MOCA) is dedicated to making contemporary art accessible to diverse audiences – especially underserved populations – through the collection, preservation and exhibition of the best of contemporary art and its art historical influences. MOCA’s gift shop is filled with a unique selection of creative and inspirational gifts including contemporary art supplies, books, stationery, exclusive exhibition merchandise such as t-shirts, scarves and posters and more. The museum is located at 770 NE 125th Street, North Miami, FL 33161. It is open Tuesday–Friday from 10 a.m. – 5 p.m., Saturday and Sunday 11 a.m. – 5 p.m. (closed Mondays and major holidays). Admission to the museum is $10 and is free to MOCA members and North Miami residents. 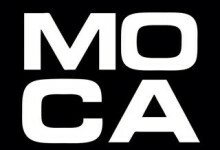 For more information, visit mocanomi.org, call 305-893-6211 or email info@mocanomi.org.